Lerwick is connected to Orkney via the port of Kirkwall. On average, there are 3 crossings per week between Lerwick and Orkney, which are operated by NorthLink. Crossings from Lerwick to Kirkwall usually take around 5 hours 30 minutes. The above information is a basic summary on the services between Lerwick and Orkney. We recommend using our Ferry Search to find live ferry information and the latest prices. 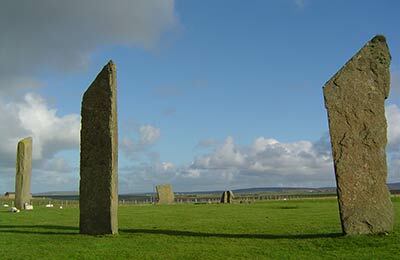 The Orkney Islands, an archipelago in northern Scotland, are home to a rich and varied history. Orkney also has much to offer the nature-lover; Auskerry, one of the smaller Orkney islands, provides a nesting ground for the Arctic Tern and the Strom Petrel. 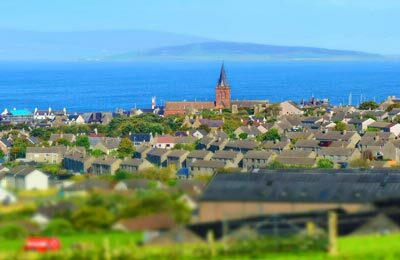 The Orkney islands are a lively and welcoming destination, with friendly locals, and many festivals and events occurring throughout the year.